As an AEE accredited program, Eagle Rock is proud to be listed in the Learning Through Experience directory, which helps consumers find experiential education providers around the world. Like AEE itself, Eagle Rock believes that well-planned backcountry experiences and structured experiential learning opportunities lead to students having the potential to gain meaningful lessons by engaging actively in an adventure and challenging themselves to take initiative, responsibility and make good decisions. Such lessons are made even more personal when, like we do here at Eagle Rock, they occur in natural settings like wilderness. As a result, we think it’s important for our students to actively experience adventures, especially ones which enables them to draw crucial meaning from the experience. An experiential approach such as this one encourages students to be engaged in their own education — actually owning that education rather than sitting solely in a classroom setting absorbing information from teacher-driven lectures. 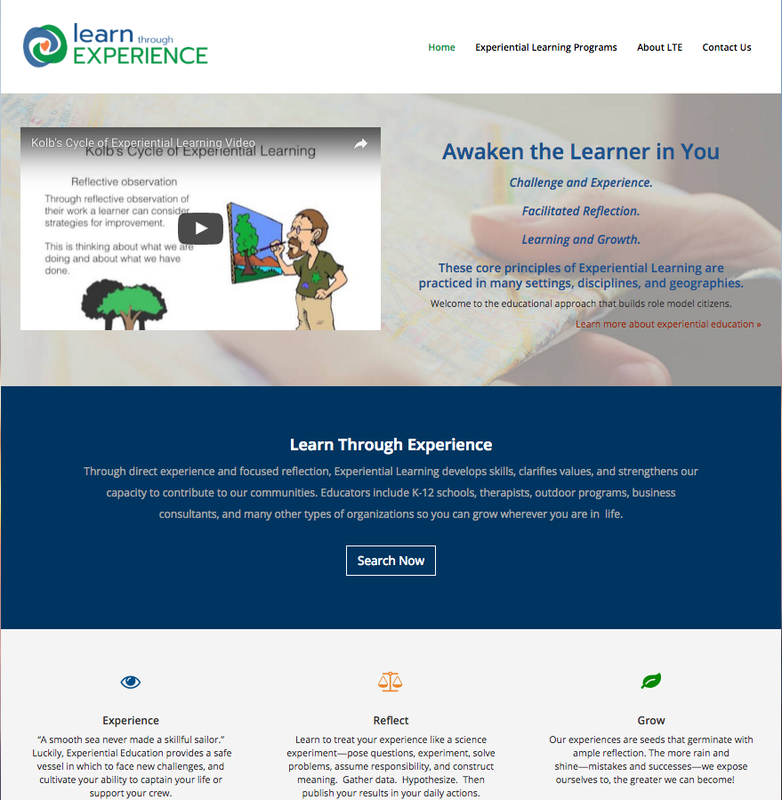 We encourage you to visit the Learning Through Experience website and see our listing, among others. This entry was posted in Accolades and tagged Association for Experiential Education, Experiential Education, Learning Through Experience Directory.